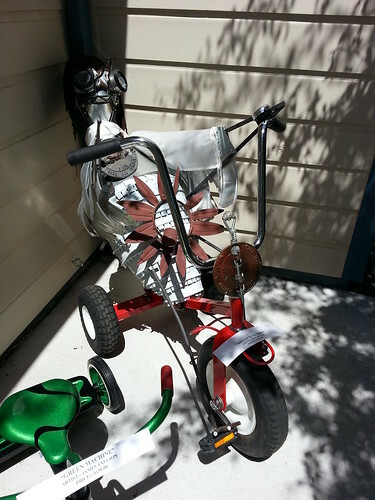 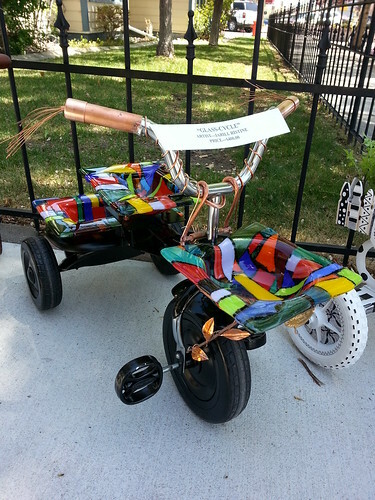 Local art gallery Artsy Fartsy is getting in on the Bike Month festivities with a display of tricycle art. 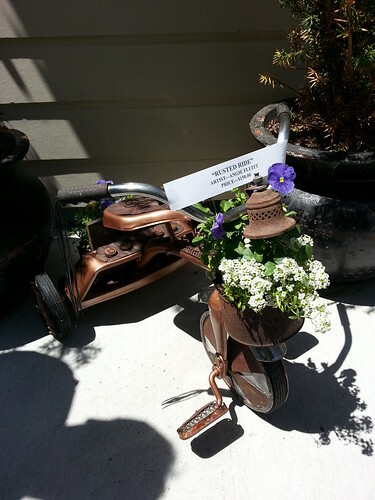 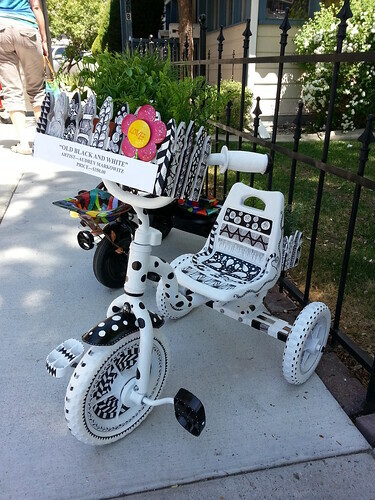 Created by northern Nevada artists, these trikes will be for sale starting Saturday, May 4th from 12-5PM during the downtown Wine Walk. 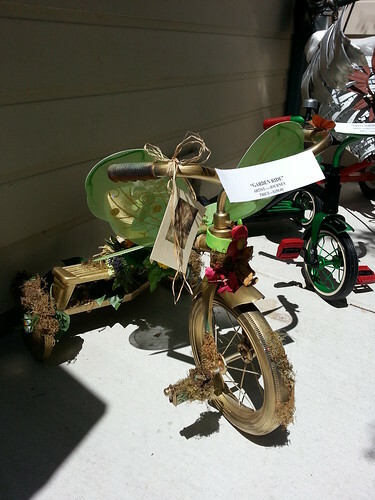 A portion of the sales will go to benefit Muscle Powered, Citizens for a Bikeable and Walkable Carson City. 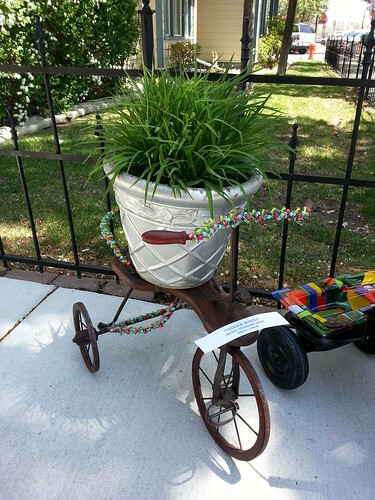 Here’s a look at what was parked out front of the Gallery on Friday. 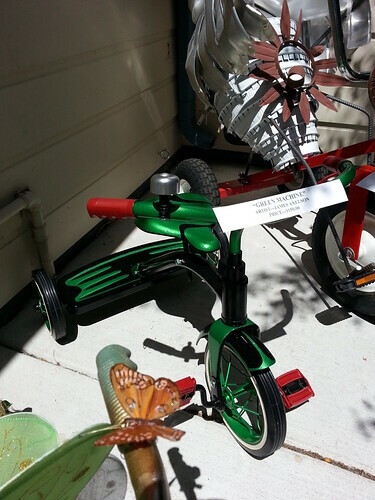 The Artsy Fartsy Gallery is located downtown near Telegraph Square.